At one time the position of paralegal was considered a steppingstone to becoming an attorney: learning the ropes of the courtroom by observing a professional, working for a lawyer. In these days, paralegals or legal assistants are their own legal category, career positions that some lawyers even move into, away from the stress of the courtroom and still maintain vital, legal function and the sense of accomplishment. They perform a necessary and important role in and of themselves, sometimes putting in long hours to ensure an attorney is ready to go to court, researching and interviewing witnesses. Many consider it a fulfilling career. Certainly, it’s a growing one according to the Bureau of Labor Statistics who predicts the field will add over 250,000 new jobs by the year 2018. Wages vary from location and even specialization. There is more than one area into which a paralegal can enter, from immigration paralegal, to nurse paralegal, to bankruptcy paralegal. A nonmetropolitan area will usually pay less than a metropolitan area too, but the career is known to pay well, with competitive benefits and salaries. 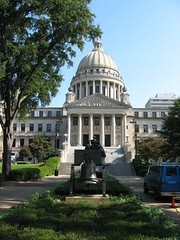 While Mississippi does not require any specific amount of education in criminal law or paralegal studies, employers seek out those with immediate ability and competency. Generally speaking, the ones who are paid best are those who have engaged in a formal program geared toward their field; those with schooling also tend to enjoy better advancement opportunities and employment possibilities. It is still possible to get a paralegal position, especially in a smaller firm, that will teach as you go. A certificated paralegal is one who successfully completed a degree of some nature or a Post-Baccalaureate certification. Degrees can be Associate degrees (Associate of Art or AA, Associate of Science or AS), which tend to be two-year degrees, or a Bachelor degree, either Bachelor of Arts or Bachelor of Science. Both would be four-year degrees completed at a University or private school. Also available are Master’s degrees and Juris Doctorates in criminal law or paralegal studies. A Post-Baccalaureate Certificate can be awarded to those who have already gained a BA or BS in any discipline, thereby satisfying all liberal study requirements, and have completed a Post-BA program course designed for their needs. This is usually the shortest option, taking a year to complete. The exams put forth by these associations are recognized as showcasing the skills and competency of the paralegal. They look excellent on resumes and mean a great deal in professional circles. The requirements for each exam varies, so please study the chart. Mississippi University for Women in Columbus is co-ed these days, public, and offers a BA or BS in Paralegal Studies. Depending on the degree (the BS has more credits), it can take anywhere from 3.5-4 years to graduate or 124 classroom hours. Internships are considered mandatory for completion. University of Southern Mississippi in Hattiesburg extends a four-year degree in Paralegal Studies. It takes 124 class hours to graduate, or about 4 years. The school boasts an active paralegal society that offers guest speakers, networking opportunities, and professional events. Internships are elective and encouraged, but not mandatory. While about 70% of all paralegals are employed by law firms, those are hardly the only employers. Government agencies, non-profit organizations, and even corporations are all hiring for knowledgeable, dedicated legal assistants. Law firms are by the far most visible and obvious market, though. Below are some of the largest in the state known to hire paralegals.